Seventeen-year-old Lorna loves her adoptive sister, Callie. But Callie can't say "I love you" back. In fact, Callie can't say anything at all. 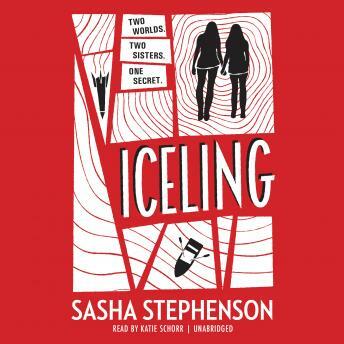 Because Callie is an Iceling-one of hundreds of teens who were discovered sixteen years ago on a remote Arctic island, all of them lacking the ability to speak or understand any known human language. Mysterious and panicked events lead to the two sisters embarking on a journey to the north, and now Lorna starts to see that there's a lot more to Callie's origin story than she'd been led to believe. Little does she know what's in store, and that she's about to uncover the terrifying secret about who-and what-Callie really is.